Simple Strategies That Work! 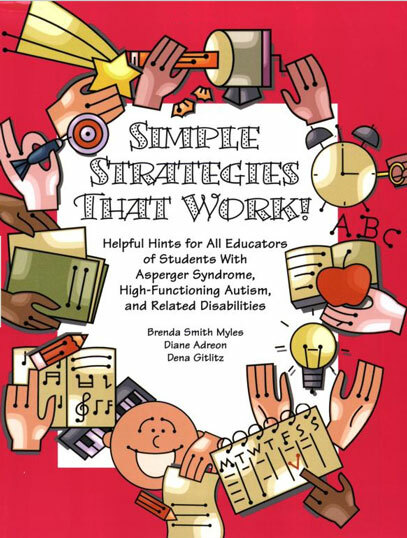 Helpful Hints for All Educators of Students with Asperger Syndrome, High- Functioning Autism, and Related Disabilities By Brenda Smith Myles. This book provides ideas and suggestions that teachers can use to help a student with AS/HFA on the road to success. The book discusses problems that arise in the classroom and how teachers can adjust the classroom to accommodate, while not interfering with normal classroom routines. The book includes tables and boxes for quick reference and clear meaning. Also included is information on what can cause anxiety for the AS/HFA student, how this can lead to decreased academic and social performance, decreased attention to task, and potential increases in behavior problems, and what the teacher can do to assist. Pp.40. This entry was posted in Education, Our Library and tagged Autism Spectrum Disorder, behavior modification, books, Education. Bookmark the permalink.